Tiffany with a “pho” and not that “ffa” like normal? I could get on board with spelling it this way, but this is just too funny. 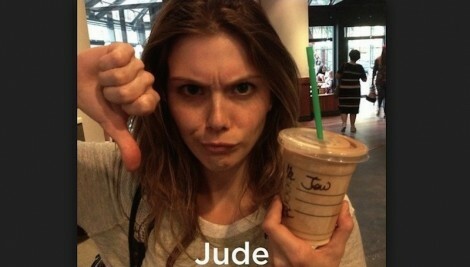 Do you know anyone named Jew? 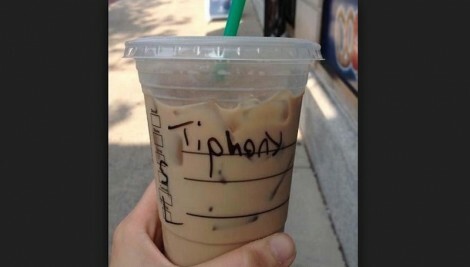 I don’t think it is a real common name, but it is to this barista. The customer does not look that happy about it.